It was like watching an old pensieve memory over and over. She could watch, but she could do nothing. 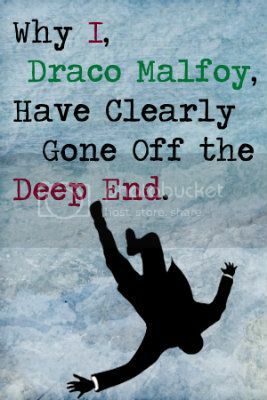 One mortifying situation after another and a bewildered Malfoy in the middle of it all. Pushing her hair away from her face, he stared at her from behind his silver mask. His grey eyes were cold and lifeless but enticingly beautiful. Unaware of what she was doing, she raised her hand to touch his mask, causing him to jerk backwards and let go of her face. A daughter reflects on family traditions, and what she really wants to wish for. A Christmas drabble series from my "Paper Owl" universe. As an employee of Wizarding Britain's largest auction house, Ginny often finds herself in the mansions of the upper class installing art and antiquities. When a priceless Zephyrelli landscape is snapped up, Ginny finds herself sent to a mansion where the Master of the House is all too familiar. Ginny does a favor for her twin brothers that leads her on a wild ride with her not so favorite enemy, Draco Malfoy.